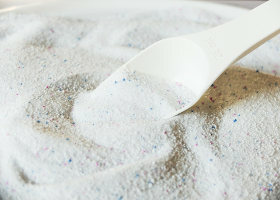 What Can You Use If You Run out of Dishwasher Detergent? Recent research, however, has shown that chlorine bleach which is a key ingredient in most brands can cause respiratory problems as chlorine fumes are released into the air during the drying cycle. It can also affect eyes, mouths, and lungs – and irritate skin. Synthetic fragrances are very common but they do contain phthalates – substances added to increase durability and longevity, and these hidden chemicals can affect those who suffer from skin and respiratory allergies. Sulphuric acid is often added to regular detergents too – this is very corrosive and can cause burns, as well as suspected of causing asthma. It is extremely potent via ingestion and capable of causing adverse effects at very low does. High in citric acids with antibacterial properties lemon juice is extremely versatile. Citric acid helps take away hard water deposits and keeps them suspended so they don’t redeposit on anything. The power in vinegar is an acetic acid which kills viruses, bacteria, mould, and mildew – and dissolves tough mineral stains and deposits. Spritzing dishes with vinegar prior to washing causes light sediment to immediately disappear. Acts as a degreaser and disinfectant – and is super water softener too. This natural cleaner with its unique chemical composition makes it excellent for turbo-charged cleansing. Softens hard water as the particles attract and trap the magnesium and calcium ions that cause hard water. The larger granules help ions to dissolve without risk of creating a blockage which would result in a malfunctioning softener unit. This can be added to the mix to make dishes and glasses squeaky clean – and the enzyme helps break down grease, dirt, and grime. It’s non-toxic and an all-around cleaner. Load the dishwasher to maximise the machine – making sure utensils are loosely placed to allow the water to reach inside all items. Add washing soda and salt in the open compartment and fill the second compartment with the vinegar and close the lid. Add the citrus enzyme inside the dishwasher. Start with very small amounts and then increase to get even better results. Mix Repairs will solve many of your dishwasher issues – including when you accidentally put laundry detergent in the dishwasher! There’s no call out charge when you use this trusted service provider – and you can get a quick quote before any work takes place. 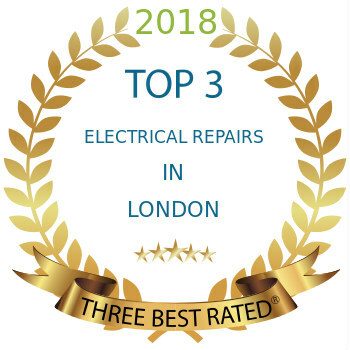 All technicians are fully trained and highly skilled – and have the knowledge and experience to ensure a comprehensive service that comes with a six-month quality guarantee. Same day and next day appointments are available by phone or online so you won’t have to wait long to get your appliance back in full working order.